Balanced body pH plays a role in overall health as well as bone health. The Western diet and high-stress lifestyle promote a drop in pH, which can make your body more acidic. A pH of 1 is the most acidic, while a pH of 14 is the most alkaline. The ideal body pH is 7.35. Low pH affects your health at a cellular level, leaving you more vulnerable to fatigue, poor sleep, poor digestion, obesity and other health concerns like bone mass loss, kidney stones and cancer. You can raise your body pH, however. Always consult a medical care provider before making lifestyle and diet changes, especially if you are attempting to treat a health condition. Consume more alkaline-forming foods. This is your best tool for rebalancing an acidic pH. Your daily ratio should be 80 percent alkaline-forming foods to 20 percent acid-forming foods, recommend Raquel Martin and Judi Gerstung, authors of “The Estrogen Alternative.” In general, acid-forming foods include meat, dairy products, coffee, tea, cooked foods, sugar, sodas, refined flour and salt. Alkaline-forming foods include raw fruits and veggies like beets, carrots, broccoli, leeks, onions, parsnips, sea vegetables, mangoes, melons and papayas. Yams, sweet potatoes, squash and some grains including wild rice, quinoa, buckwheat, millet and amaranth also are alkaline forming. Coconut, apples, cherries, pineapple, hemp, pumpkin seeds and almonds also go on the alkaline list. Eat foods rich in chlorophyll, which gives plants their green color, recommends Brendan Brazier, author of “Thrive: The Vegan Nutrition Guide.” Chlorophyll significantly raises the pH of foods so that they are more alkaline forming. 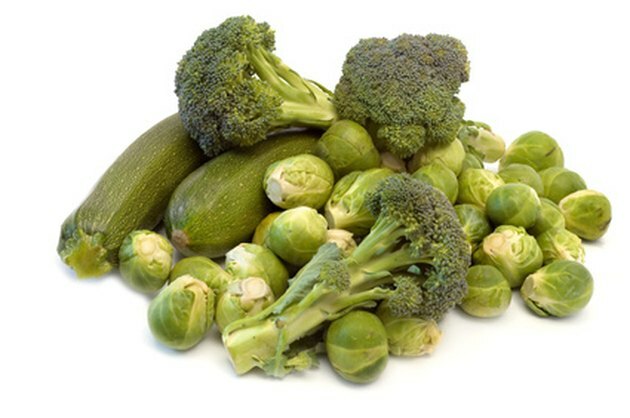 Vegetables that are highly alkaline forming include asparagus, bell peppers, celery, cucumbers, dill, green beans, all leafy greens, peas, parsley, all kinds of sprouts and zucchini. Drink lemon water daily, recommends Karta Purkh Singh Khalsa in the book, “Body Balance.” Lemons, limes and grapefruit are all highly alkaline-forming foods. Lemon water also enhances liver function and provides the antioxidant vitamin C, which fights cell damage by free radicals. Also, drink adequate amounts of water to help restore pH balance. Sip half your body weight in ounces of water each day. Manage your stress by taking time out to do things that you enjoy and promote a positive attitude. While diet has the biggest impact on your pH level, reducing stress also encourages alkalinity. For example, light stretching, yoga, meditation and deep-breathing exercises can all help.